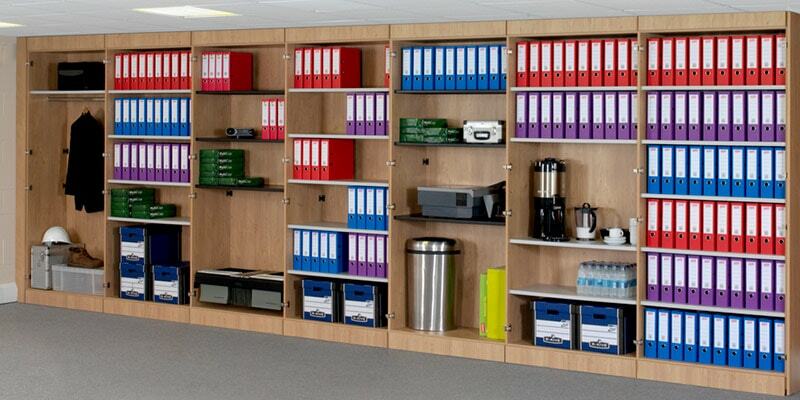 Maximise your working space with creative and cost saving storage solutions. You can make full use of the vertical space from floor-to-ceiling. Put storage in areas that might be considered as wasted space. Storage wall can be used for a variety of storage, filing and work applications as well as room partitions and room dividers. Although storage wall is designed for fixed applications it has the flexibility to be modified, adapted, up-graded, reconfigured and moved. A storage system that can be designed to meet your exact storage requirements. Can be used for office, retail, hotels and much more. Make full use of your vertical floor space. Storage solutions that can be upgraded, moved and reused. An investment that could pay for itself in the longer term.